Our limo hire service is available for any special occasion. We offer prompt and professional transportation services personalised for you. Limozone Provides Limousine, Limo hire Service, Car Hire Business and Airport Transfer Service. We have a fleet of luxury two tone Chrysler limousines to suit your next occasion. Limozone provides an exclusive range of stunning Chrysler limos and cars to suit your special occasion in and around Melbourne. When you are looking for Limo hire in Melbourne and choose to travel in our limousines, you will receive exceptional, reliable and on-time service at great value prices. Arrive at your event in ultimate style with our Melbourne limousine hire service. Whether you need limousine hire in Melbourne for a special event, business meeting or for Melbourne airport transfers limo, we are here to offer you the best service in Melbourne. Not only taking you to night parties, weddings, casinos, birthdays, sports and school events but taking you anywhere you want or need to go. Our Melbourne limo hire service is available for many occasions and although we’ve looked after royals, celebs and many stars, we believe that you all deserve to be treated in a special way. We offer prompt and professional transportation services personalised to your needs. Our drivers do go out of their way to make sure your journey with us is nothing short of an enriching and positive experience that you’ll remember for a lifetime. For the best limousine hire and professional care, call Limozone and have us quote you ! 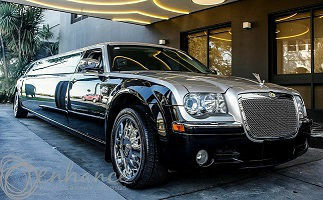 At LimoZone, we offer the best possible limousine hire service in Melbourne. Our personalized limo hire in Melbourne is designed to meet your specific needs and create the most memorable limousine hire in Melbourne. With our limousines, you will arrive at your destination in awesome style. At LimoZone, we have an elite fleet of limousines that is sure to exceed your expectations. Our amazing range of luxurious limousines are perfect for various occasions. Be it a wedding, winery tour or an airport transfer, we offer you the most comfortable and relaxing limo hire in Melbourne. We provide prompt and professional limo hire service in Melbourne. Our experienced and trained chauffeurs will take your experience to a whole new level, with their exceptional services. Our dedicated and professional drivers will take care of the traffic and parking to ensure a smooth experience for you. At LimoZone, we know that it is not just special events that are worthy of Melbourne Limousine hire. You might need our limo service in Melbourne just to reach your destination with minimum fuss and comfort. We offer an amazing range of gorgeous and comfortable cars for various occasions at rates that will perfectly fit your budget. Our goal is to offer you a fulfilling and memorable limo hire experience in our luxurious vehicles. Our service is reliable, punctual and our trained drivers will go out of the way to make it an amazing experience for you. Whether you require stretch limos hire in Melbourne, limousines with luxurious interiors or Melbourne airport transfer limo, we provide vehicles that reflect elegance and style. Get in touch with us to find out more. At LimoZone, we offer prompt and professional limousine hire in Melbourne that’s personalised to your specific needs. We’re always exploring new ways to make our customer’s experience with us the best it can possibly be. Our drivers go out of their way to make sure our limo hire in Melbourne is nothing short of an enriching, personalised experience that you will remember for a lifetime. 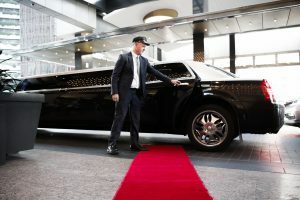 Whether you’re a local looking to treat yourself or you’ll soon be visiting from interstate and need convenient transportation to get you from A to B, get in touch with the specialists in limo hire in Melbourne today to organise limo hire that’s affordable and reliable while never compromising on luxury and comfort. Call LimoZone on 0419 598 717 or contact us online and we can help arrange your limo hire in Melbourne quickly and conveniently. Please contact our friendly staff today to receive a free quote for our limousine hire in Melbourne. Give us a call on 0419 598 717, 1800 546 696 or contact us online to learn more.